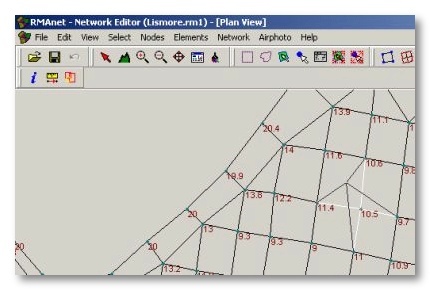 RMAnet is a finite element network creation tool designed primarily to assist mathematical modellers in generating finite element networks for the RMA suite of models. 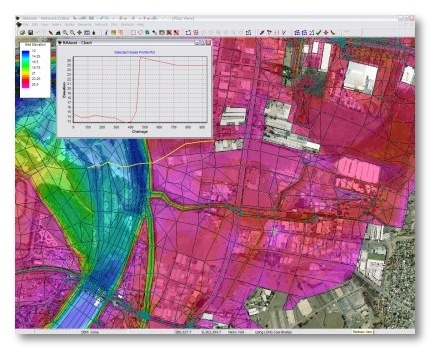 RMAnet has been developed by experienced RMA modellers/programmers to promote the rapid creation of efficient finite element networks. 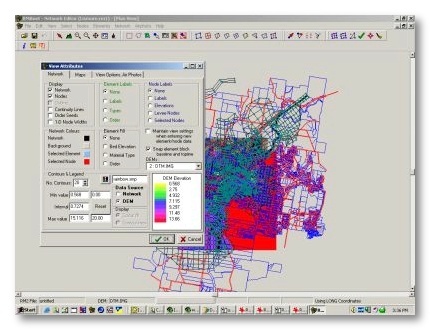 RMAnet was designed to help the modeller generate the network that they want in the shortest amount of time, rather than relying on automatic routines that may miss hydraulic subtleties or generate unwieldy networks. For even experienced RMA modellers, RMAnet will dramatically reduce your model network build (and editing) time. 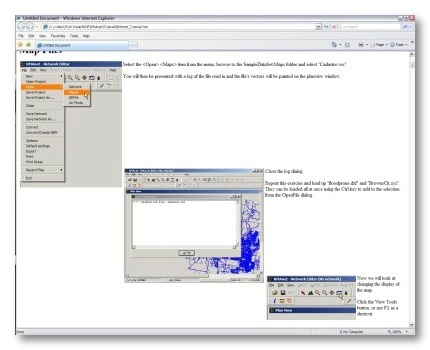 Network generation is mouse driven by intuitive graphic controls with the flexibility and speed of keyboard shortcuts. The underlying philosophy is based on the creation of elements with necessary nodes created automatically rather than the more, time consuming process of creating nodes and then joining them to create elements. 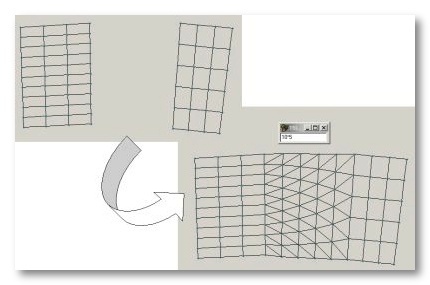 Elements can be created singularly, in blocks (grids), or triangulated from existing nodes. Node and element properties can be edited individually or in selected groups. RMAnet contains all the basic tools for network creation as well as a host of advanced tools that dramatically increase the speed of network creation. import, export and convert a number of file formats for compatibility with popular programs such as MapInfo, ArcView, ArcInfo, AutoCAD, SMS and RMAGEN. Access multiple DEM’s in your project graphically. Readily adjust DEM thematic mapping parameters. Adjust visibility of DEM layers. – Automatic network generation through triangulation of existing or imported nodes with full control over which nodes are used in the triangulation. – Linear transitioning of selected node elevations from a starting value to a finishing value. Adjustable levels of contouring “translucence” allow you to see your airphoto through your network or DEM contouring. 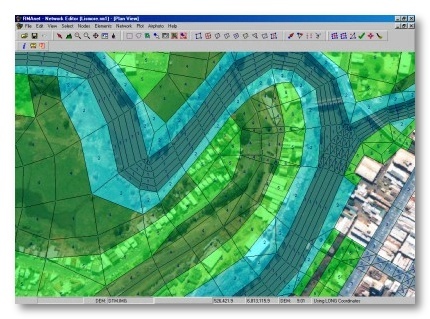 Manage supporting GIS layers position, colour, visibility, line styles etc. Reads SMS image files and SMS network files. Hence SMS users can take advantage of the network building features of RMAnet. Advanced graphical editing facilitates rapid editing of the properties of nodes and elements, individually or in groups. 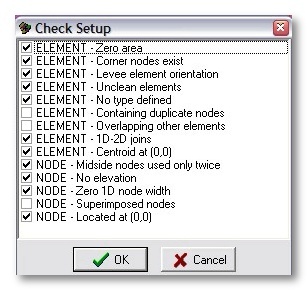 Select elements/nodes, right click and process nodes/elements as a group or sub group (eg nodes without elevations or elements without material types only). Select nodes/elements individually, using rectangle or polygon fences, or using SQL on node/element properties. Mouse driven interface with keyboard and toolbar shortcuts. Create elements instead of nodes first. Full GIS interface (zoom, pan, zoom window). Distance operators on nodes (eg readily place nodes at a certain distance from other nodes). Full functioning, multiple level undo feature increases flexibility of net refinement. 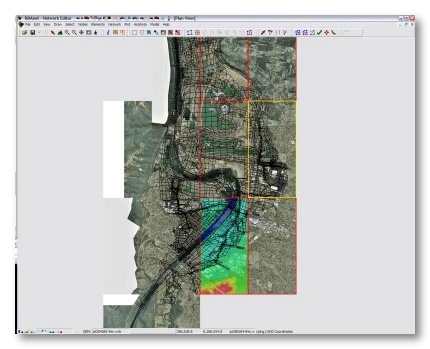 The RMAnet tutorial will help you get “up and running” quickly. Detailed error checking and visual tools help you locate problems with your network setup. 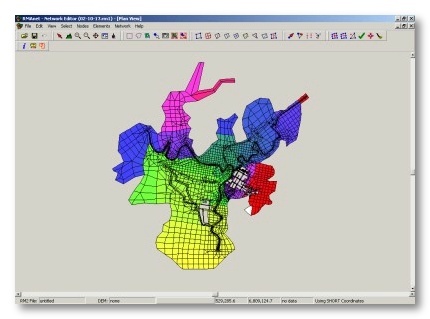 Thematic colouring of element ordering and network elevation. Colour ranges can be specified through colour pallettes. Node setting/node movement are all screen operations. For importing geospatial data to facilitate the conceiving and building of networks, the following file formats are read by RMAnet with no conversions required. RMAnet also contains a number of file conversion and DTM creation tools. 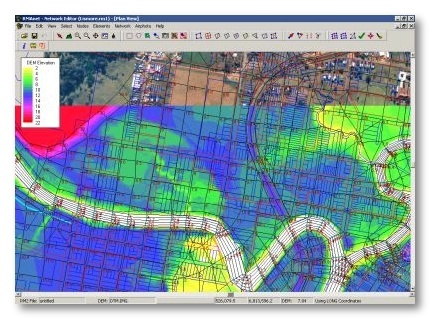 Users of RMAGEN and SMS can take advantage of the efficient network generation of RMAnet and load RMA results directly into waterRIDE™ FLOOD Manager for integration of model results with GIS capabilities. RMAnet is backwards compatible with the network creation files used with RMAGEN (RMA, Sydney, Australia). RMAnet also reads UNIX binary network files. Hence SMS users of RMA can utilise the finite element generation advantages of RMAnet. 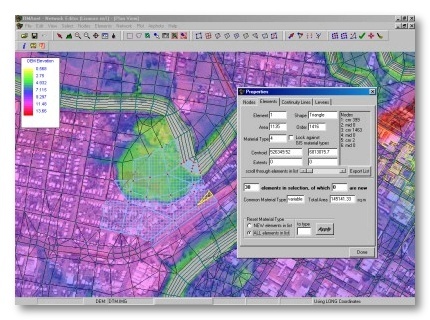 RMAnet is designed to be used by RMA modellers. It is assumed that the modeller is proficient in the use of the RMA model itself. RMAnet is available as both standalone and network (LAN/WAN) licenses.